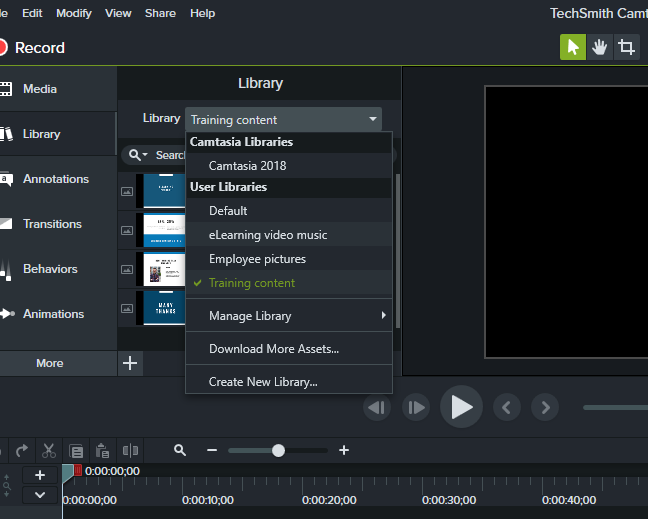 Camtasia is one of our favorite tools for eLearning content development. In fact, we’ve written about it before. We also know it’s one of your preferred tools too. Recently, TechSmith released Camtasia 2018. With brand-new and updated features, there’s a lot of interesting stuff to dive into. 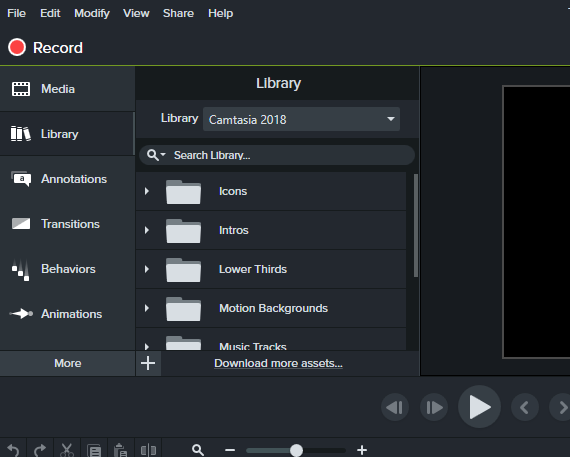 We looked into what’s been added and created a walkthrough of what Camtasia 2018 has to offer. If you’re already recording and editing videos, we’ll let you know if 2018 is worth the upgrade. Or if you’re in the market for new video software, discover if Camtasia 2018 will work for you. An announcement that many eLearning content creators will be happy about, Camtasia 2018 reports having faster video rendering time, up to 50%. This is sure to save production time on your content by helping you get it published faster. Great news if you’re producing numerous pieces of content in a short period of time or you simply want a speedier production process. A big plus that has been updated for PC users and added for Mac users is libraries. With this feature, you can create your own personalized libraries and fill them with the assets from your Camtasia projects. This is a valuable addition as you only have to upload your assets once, place them in a folder and you’ve got everything you need to create content that is consistent with your brand. From intros to icons to music, you can keep everything together, ready to be reused. For eLearning content creation, this is particularly handy as you can create different libraries containing different types of assets. If you’re making videos for multiple, distinct audiences like employee teams, customers, or more, simply organize each group into their own assets section to be accessed whenever you need. Camtasia also offers a mix of complimentary and subscription-based royalty-free assets. These can be added to your content so it's easier than ever to make your content look good. Another handy addition to make faster content, themes enable you to pick colors and fonts and save them for future use. This not only saves you lots of time as there’s no searching for color codes or font types, it also allows you to effortlessly add your brand’s look and feel to the videos your creating. Last but not least, Camtasia 2018 gives you the power to edit and produce your video content at 60 frames per second. A big plus for your video quality, it gives your learners a more seamless viewing experience. Overall, Camtasia 2018 is a top-notch editing tool if you’re creating training and development content for your business. It’s easy to use (even for novices) and gets the job done at creating content fast. It’s definitely one to have in your training tools repertoire.